You’ve worked hard to build your audience and online brand. You love pursuing your passion and engaging your supporters, but it’s time to make all that hard work pay off. Now’s the time to design and produce your own custom merch! Whether you’re a band, musician, artist, YouTuber, or other online personality, you can offer your fans a chance to directly support your work by creating and selling custom merchandise. Your fans love showing off their interests with cool t-shirts! Custom merch provides three solutions in one: promoting your image, fostering stronger engagement with your supporters, and raising some funds for your next project! Check out how Bonfire can help you sell merch that your subscribers will love. T-shirts are the most common (and popular) form of custom merchandise out there. 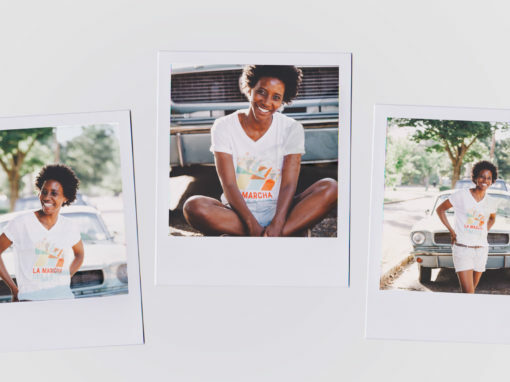 As a leading custom t-shirt platform, Bonfire makes it simple to design and sell your custom merch for any purpose — and keep all of the profit, too! If you’re a YouTuber, see how we can help you make and sell merch. Covering the basics will help as you begin to design and market your custom merchandise. Bonfire offers a low-risk, high-reward platform for creating custom merch your fans will love, so be sure to explore all the tools and resources outlined in this article. Generally speaking, you already know your audience. Your followers, fans, supporters, or customers are your primary audience for any custom merch you create. Who will order your custom shirts? Where and how do you typically interact with them? Why do they value you and your work? Are there any running motifs, jokes, or catchphrases your audience loves? Do you need to promote a specific album, web series, or project? 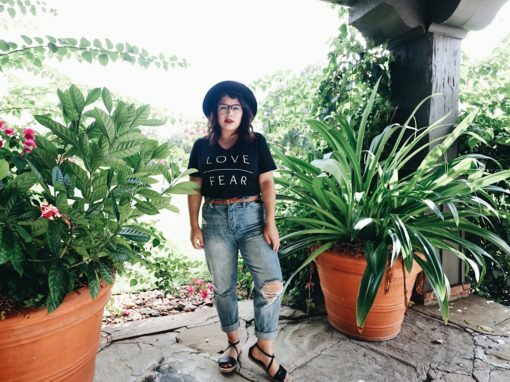 For some guidance, take a look at how Marla Catherine, a popular YouTuber, and internet personality, very successfully offered custom merch to her fans through Bonfire’s t-shirt platform. Marla ranked the social media channels where she had the highest rates of follower engagement. She used this list to plan how she’d promote her custom t-shirts on each channel, but you can easily use this information from the very beginning of the process. Where are your followers most engaged with your work? How do you interact with them there versus on other platforms? Find what attracts the most followers to your work, and you’ll discover the largest segments of the audience for your new merch! This insight can then guide the rest of your design and marketing decisions. Now comes the fun part! Using what you’ve identified about your audience and your goals for creating custom merchandise, brainstorm concepts and create mock-up designs. Consider what styles and colors of shirts to create. Play with different colors, and t-shirt fonts to create contrasting elements that refine your design. Explore some current design trends for inspiration. Use your existing branded materials as a jumping-off point. 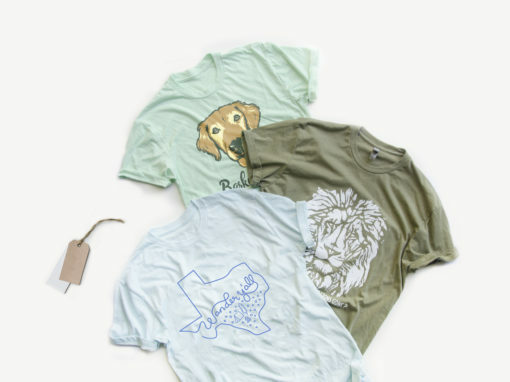 We regularly feature some of our favorite t-shirt designs on Instagram, too! See which designs really work, then compare any visual elements that they have in common. Take your time to get your custom merch designs just right. Carefully refining your designs will have a huge payoff once it’s time to launch your t-shirt campaign! Choosing the right custom t-shirt platform to design and host your merch can be tricky, but the best rule of thumb is to find the one with the most flexible options. Sell your custom shirts online on dedicated pages. Set your prices and campaign duration then start promoting your merch! Use your merch to raise funds. Bonfire crowdfunding campaigns are a perfect way to fundraise for your favorite cause. Order your custom shirts in bulk to sell or distribute on your own. Order as few or as many as you need through Supply by Bonfire. With multiple options for selling and ordering your custom merchandise, Bonfire simplifies the entire process and offers more freedom of choice. 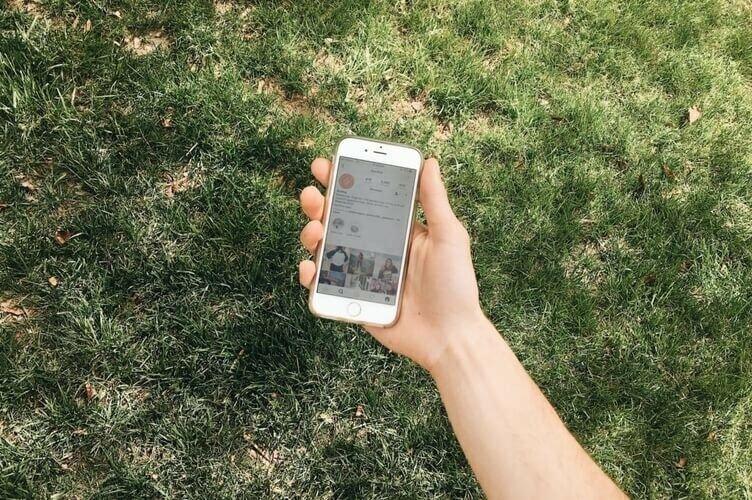 With Bonfire, it’s easy to take some promotional shots of your merch to feature on social media before opening up your campaign. With no minimum order requirements, you can order as few as 1 custom printed t-shirt, model it, and start promoting! This was an extremely successful tactic for Marla Catherine’s recent merch campaign. Plus, if you choose to sell your custom t-shirts through Bonfire, your merch will ship directly to your customers. No complicated in-between steps! Once you’ve finalized the design for your merch, chosen your products, and decided on the best way to offer your t-shirts, it’s time to launch your campaign! Scheduled posts on different social media platforms following a distinct beginning, middle, and end pattern. Engaging visuals of herself wearing the merch after ordering a few through Supply by Bonfire. Varied content that incorporated the merch into her normal material without becoming too repetitive or pushy. Simple links that prioritized user experience, making it easy to click a single link directly to the t-shirt order page. Be sure to think of some more creative ways to promote your shirts! Your unique content, voice, and audience guided your design process; let them guide your promotions, too. If you’re creating and promoting custom band merch or t-shirts for your business, consider incorporating your shirt into a creative swag bag! These are a perfect way to thank bloggers, influencers, or publications when your work is featured in reports on the local music or business scenes. Aside from thank-yous, custom swag bags are a smart promotional tool for reaching out to important new contacts, as well. Remember that your custom merch should serve several purposes: to make you money, engage your followers, and promote your brand. Following some best practices like these will ensure that your promotional strategy is as effective as possible, but we’ve saved the most important promotional strategy for last. The biggest strength of social media as a promotional tool is the fact that your audience can visibly and directly engage with your campaign in real time. Ask for shares. Ask your followers to spread the word on their profiles, especially if they made a purchase. This is an effective strategy when your merch is raising money for a cause or if your work is highly socially- or politically-motivated. Ask for pics. Choose a special hashtag, then ask your fans who ordered a shirt to post a photo of themselves wearing it. Ask for permission, then repost their photo and publicly thank them. This is a fantastic way to promote your artwork, music, or lifestyle brand. By asking your social media audience to get directly involved in your promotional campaign, you can increase interest in your merch. Seeing others participate is a powerful motivator that encourages your followers to join the fun or be a part of the movement. These kinds of promotional strategies are often referred to as circles of engagement. By generating a cycle of interest, participation, and purchases that continually attracts new customers, promotional engagement strategies allow your followers to get directly involved in your campaign. Once your merch campaign comes to an end, Bonfire always lets you relaunch. This means you can keep the hype going to grow demand for an even more successful second run of your custom t-shirts! Creating and promoting custom merch can be an excellent idea for all types of groups and creative individuals. 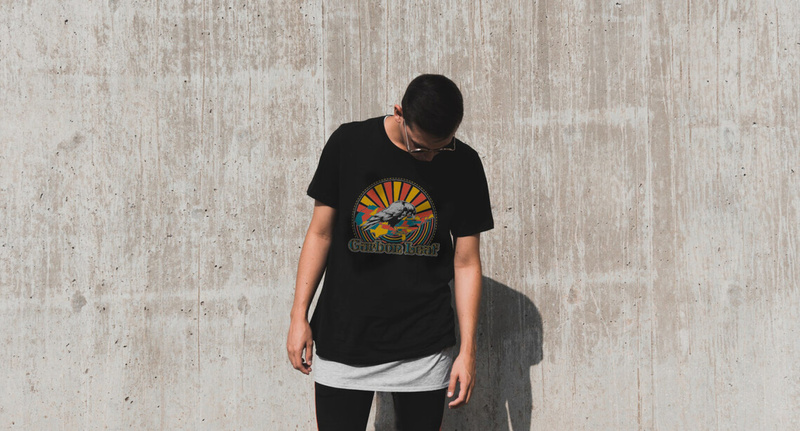 From garage bands to local businesses, YouTubers to writers, designing a custom t-shirt is a smart way to engage your fans, promote your own brand, and earn some cash. Are you ready to create a your own merch?